What do you get when four guys in an old locomotive are flyin down the tracks to jam heaven at the speed of bluegrass? The Squarshers! From their hard hitting stompy southern grooves to their fast chucking in your face brand of string music, The Squarshers are ready to throwdown. They are quite a spectacle, with a stage presence that matches their musical intensity. They are a self proclaimed “groovegrass” band, pulling heavily from funk and jam styles. Swooning vocal harmonies and breakneck banjo licks combine to make a musical storm that doesn’t let up. When it rains it pours and when it’s pouring groovegrass, all you can do is dance. 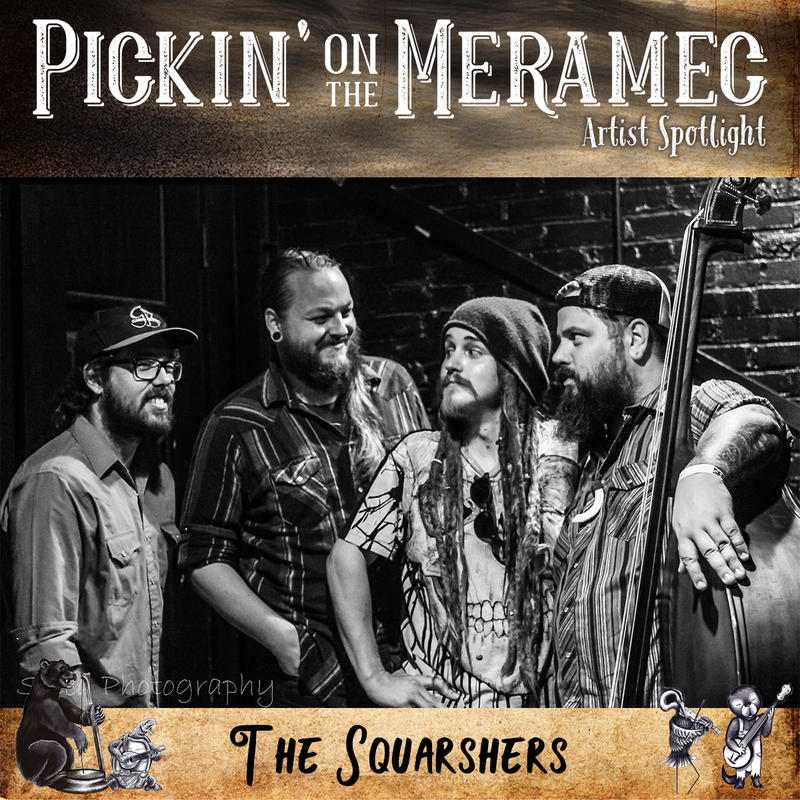 The Squarshers are Ryan Kemp on upright bass, John Henry on acoustic guitar, Brennan Johnson on drums, Chris Crovella on Banjo and occasionally Kyle Young on Harmonica.